Before you send us your artwork to be printed as stickers, there are a few things you need to check to make sure that your stickers come out at the highest quality. If you follow these simple guidelines you will get great results every time, with minimal back-and-forth. If you would like us to design some graphics for you we can do that too, but it does come at an extra cost and will take a little longer. You know your company best, so we prefer to have you send your own imagery. That said, we are more than happy to help if that’s what you need! When you send us artwork to be printed, we can only accept certain file types. Please make sure that your files are sent to us in one of the following formats: PSD (Photoshop), EPS, PLT (Autodesk), Adobe PDF, TIF, JPG or AI. Please note that if you send us artwork in MS Word or PowerPoint file format we will be unable to print it for you. This is because the resolution for these file types is too low, and the quality will be very poor in the finished product. We want you to have the best quality stickers available, which is why we can only accept artwork in the above file formats. We can only print artwork with a minimum resolution of 300dpi. This is, again, because anything lower than this will turn out a poor quality sticker! If you can, please send us a higher resolution, as this gives us more to work with. Some email clients will only allow you to send a certain maximum file size, so of course you will need to stay below that limit. If it helps, you can zip a file before you attach it to the email – this will reduce the size of the file. Put simply, a rasterised image is one that is made up of pixels, or tiny dots of colour. These images can only be scaled up so far before the quality starts to suffer, which is why we need a minimum of 300dpi to start with. A vector image is made up of lines and points, and is infinitely scaleable. We can print either type, so if you’re not sure which one your image is, don’t worry too much! As long as you keep to the other guidelines we can work with your images. Please save your colour images in CMYK rather than RGB colour mode, as this will produce more accurate colours in your stickers. 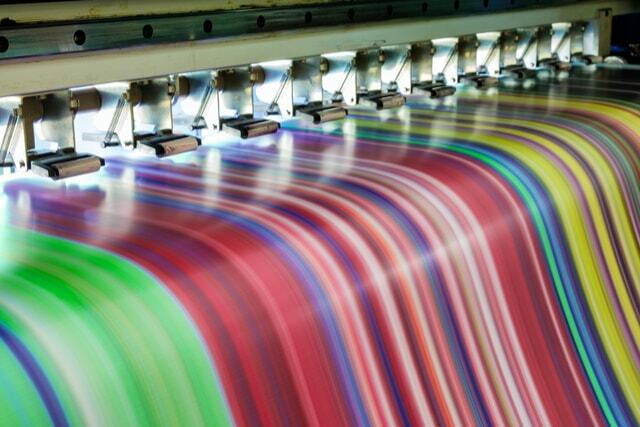 CMYK is used specifically for printing, whereas RGB is used for screens like your computer screen. It might seem a small detail, but it will make a big difference in your finished stickers! If your image has layers, please flatten them before you send us the artwork. This will make the file size smaller, and means that we will know exactly what to print. Make sure you save an original version of your artwork with layers, though, as once it’s flattened you will be unable to edit it! If you require any further information about sticker printing, do not hesitate to get in touch today and a member of our highly experienced will be on hand to help out.